We were very fortunate to witness Dahlia's first steps yesterday!! I was so excited that we were able to catch it on camera. She has been "cruising" around and standing on her own for a while now. But has refused to take her own steps until last week when she started taking one step and then stopping, then just crawled her way to where ever she wanted to go. Yesterday however she was crawling as usual, following her older brothers as they ran around the house, when suddenly she decided to stand up in the middle of the kitchen with the intention to go after her brother Daren. She stood there though not knowing what to do and I knew she was going to want to walk. So I quickly grabbed my camera and started recording. She stood there for a little while longer, as we all watched her anxiously. Then her dad called her to go forward and she took the first step, then he pull back and she took another step forward. He repeated the same backward step so she could follow and she was able to take quite a few steps on her own. After I saw she had taken her first little walk towards her dad, I couldn't contain my excitement, and neither could her brothers, with "wows" and "yays" so she got startled and stopped walking. Then she looked at us with a surprised face as we all clapped. It was magical and am so grateful it was caught on camera. This milestone made my whole week! 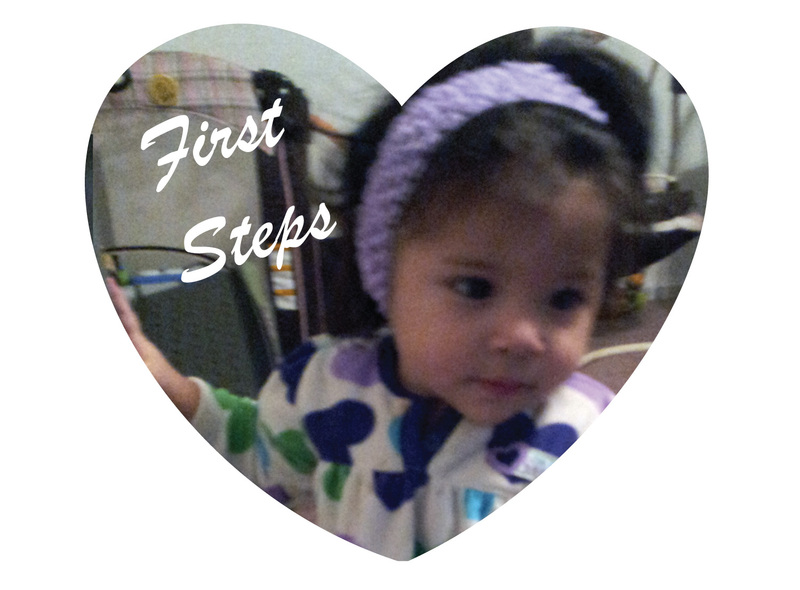 At 10 1/2 Months Dahlia takes her first steps!